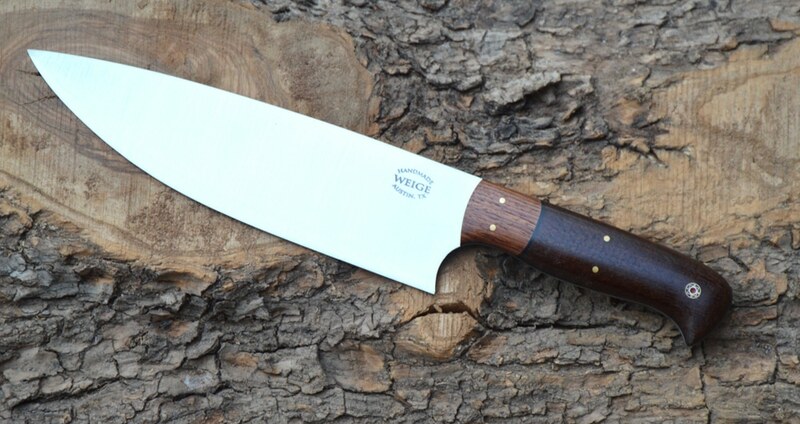 Custom chef knife in persimmon wood. 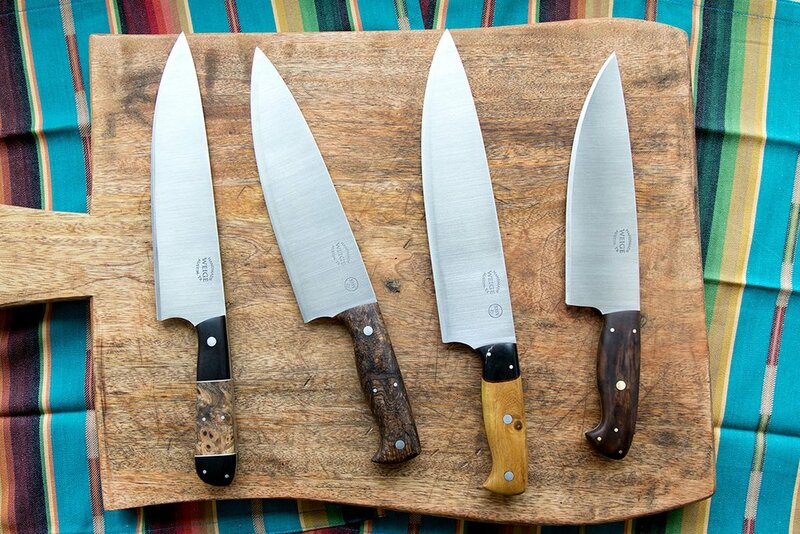 Home/Finished knives./Custom chef knife in persimmon wood. 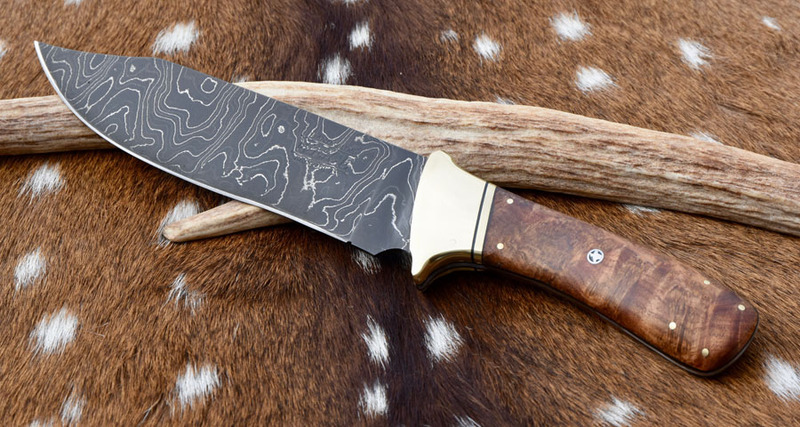 We finished a 13 inch overall length chef knife for famed chef, Chad Sarno. Chad runs the popular Rouxbe Cooking school and was formerly the personal chef for Woody Harrelson. 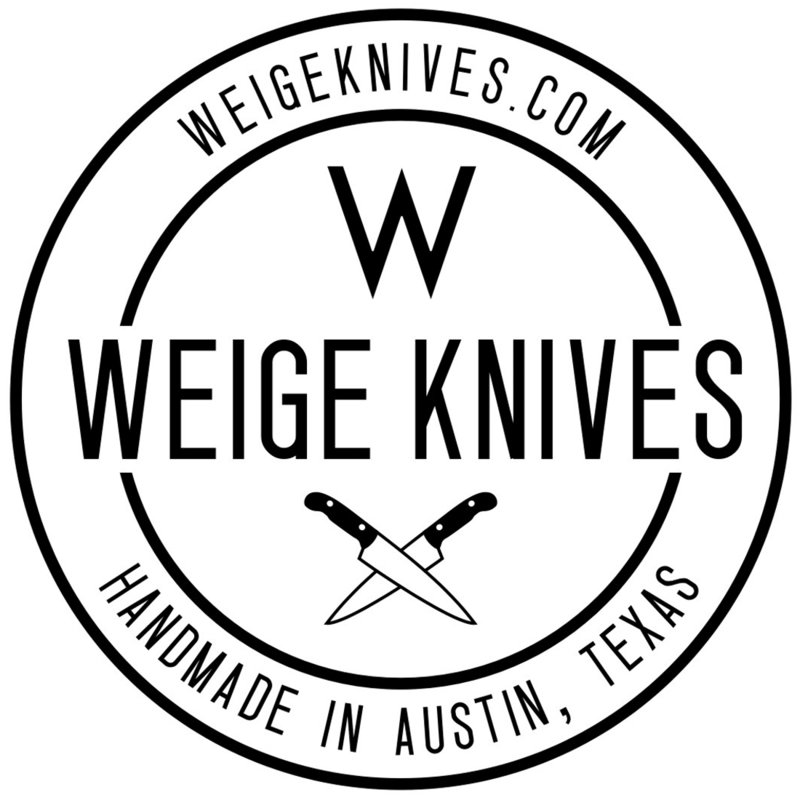 We built a custom chef knife to fit his particular grip in 440c stainless steel with a brown, Texas persimmon wood handle and wolf grey liners. The pins are handmade mosaic. 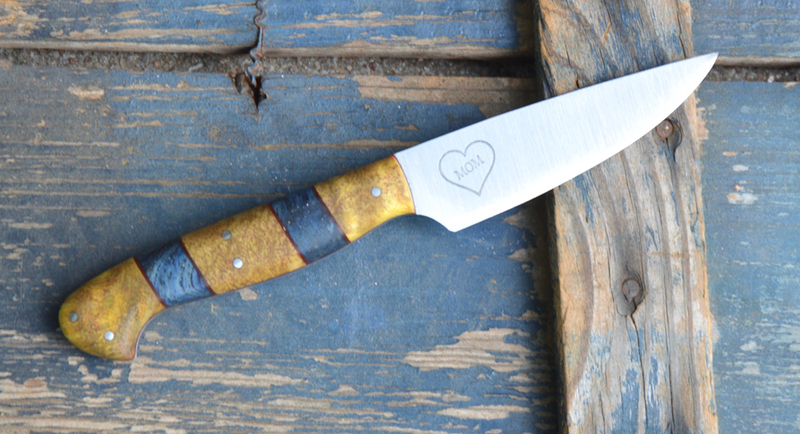 The knife came out extremely well and sharp. Due to limited time we had to take the knife photo in the rain.